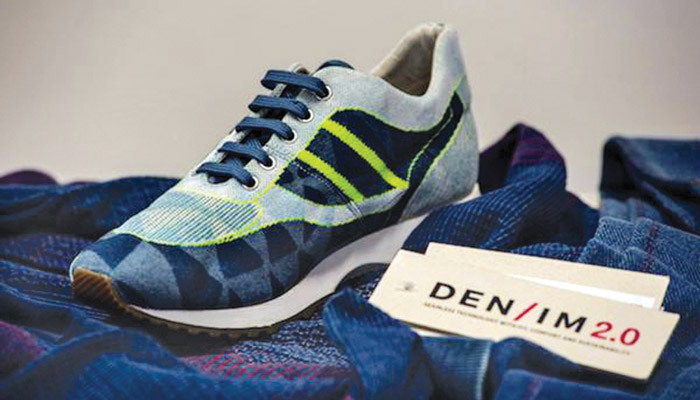 The project between Santoni, and Lenzing’s Tencel Lyocell branded fibres that spawned the innovative den/IM knits with indigo yarns has now moved beyond apparel to shoes and accessories under the headline den/IM TECH. The companies will debut the concept at Munich Fabric Start soon, with a booth in the Bluezone Keyhouse. Products will include a seamless concept shoe and a 3D backpack. The target of the Santoni-Lenzing venture has been to further highlight sustainability and efficiency whilst at the same time upping the ante in product performance. Lenzing fibres, derived from wood, possess some of the most sought-after properties, including high strength, and an exceptional ability for moisture transfer – key features of the den/IM shoe and backpack, according to Birgit Schnetzlinger, Lenzing’s Business Manager for Footwear. “Our collaboration with Santoni clearly demonstrates the creative designs that result when exceptional performance fibres combine with industry-leading seamless technology,” said Tricia Carey, Lenzing’s Director of Global Business Development. 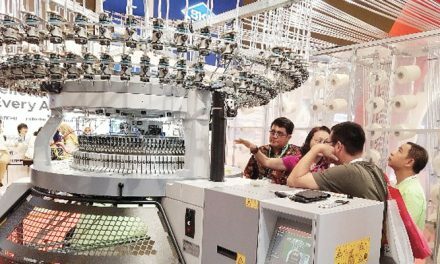 Santoni, known for its seamless knitting and speedy, reliable construction, used two machines for these projects – the X Machine, developed for footwear, and the Mecmor machine with needle-shifting movement. The electronic X Machine supports 3D patterns and can knit countless intarsia items for seamless shoe uppers. It maps different areas according to type of yarn, producing a final product ready for application of the sole. 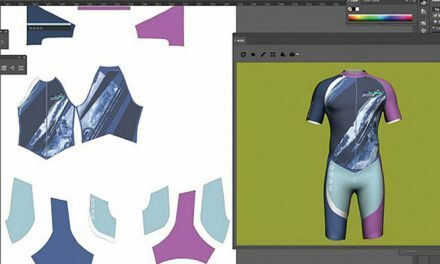 Production time is five to seven minutes per piece, with infinite patterning and colour possibilities, including 3D areas and eyelets for laces. For the backpack, Mecmor’s versatile Variatex technology produces a variable fabric panel for weft-knitted garments. Its many feeds allow for high capacity in short times, and fabric scraps are almost non-existent. 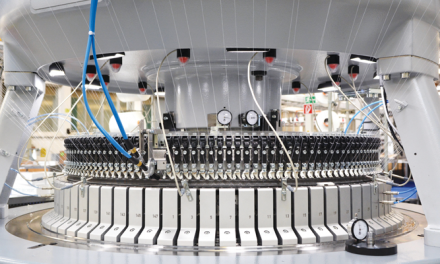 Mecmor’s ability to vary panel width and number of needles allows for customization and exact measures and quantities. 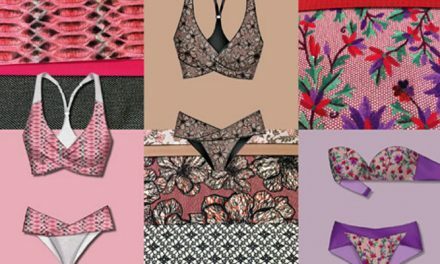 The fabric can be “mapped” with different structures and yarns: Four areas mix different technologies and knit various yarns into ad-hoc positioning. The backpack’s outer part is knitted with natural yarns for a soft hand and thermoset for rigidity and protection. The inner has high-tenacity polyester yarns in addition to indigo dyed Tencel Lyocell yarn, provided by Unitin in Spain, to ensure resistance and anti-rubbing – features inserted in a “quilted” effect that adheres to the user’s back, absorbing movement. The backpack can be customised with designs and logos.